Want to get Amatic games for your casino? I am interested in Amatic. Embark on an adventure of a lifetime with this exciting slot from Amatic - Magic Idol.This slot set on a paradise island filled with mystery and tons of treasures. It is packed with fun and you will have to interact with the tribes which inhabit this island so as to succeed in landing big wins. Magic Idol is a 5-reel, 3-row and a 10 payline slot with tons of free spins.So get ready to discover all the amazing prizes which are hidden in this slot as you spin the reels of this slot. 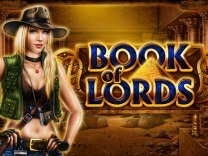 Amatic has ensured that players have the best experience playing their slots. This slot is no exception. you will find that the slot is set on an island filled with a tribe which is friendly and will help you gain your prizes. This sets the theme of the slot as tribal. The background is filled with luscious green vegetation which means that it is a tropical paradise.The characters in this slot are displayed perfectly with a soundtrack which will keep you playing the slot. The graphics are also rendered superbly as it will allow you to load the slot without any difficulty whenever you like to enjoy the game. It will load on multiple devices which include mobile and desktop devices.If you are searching for a low to medium variance slot, then this is the slot to choose. Expect regular smaller pays, but you will need to be patient if you are searching for the big wins. It is recommended for all players whether they are veterans or novices. 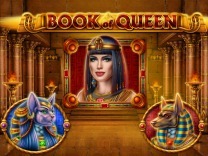 Whenever you play this slot, you will find different symbols which are incorporated into this slot. These symbols include a tiki mask, a fish, a hammer, drums, piranhas and toucans. These are the standard paying symbols in this slot. The highest payout you can receive when playing this slot is 250,000 coins for matching 5 of the island symbol, while the lowest amount which can be won is 250 coins for matching 2 of the hammer symbols.Before you can begin playing this slot, you have to understand the gameplay. You will be required to make a wager and you can accomplish this through the line and bet buttons at the bottom of the slot. You can adjust the paylines between 1 and 10 while the bet per payline can be between 1 and 50. This will give you an amazing chance to play within your bankroll and still have fun. For those who do not like to manually spin the reels, then there is the autostart button to help you out. In Magic Idol, you will find 10 paylines which will give you multiple opportunities to land a winning combination. You have to match at least 2 of the hammer symbols, or 3 of the high paying symbols to receive a payout.Watch out for the island icon as this is the best symbol in the slot. Matching 5 of these symbols will award you up to 250,000 coins. While Amatic develops games which are exciting and fun to play as they are laden with lots of bonus features. Unfortunately, this slot does not have enough bonus features. The only bonus features which are included in this slot include the bonus spins and the gamble feature.To activate the bonus feature, you have to land 3 to 5 of the tiki mask symbols. This will activate 15 bonus spins. 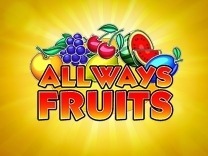 the best part is that any winnings which are won using the bonus spins are subjected to a 3X multiplier. You will also be required to play the bonus spins until no bonus spins are left. This feature can be retriggered during the bonus spins by landing more tiki masks.Finally, there is the Gamble feature. This feature is tied to the winnings in the base game. After landing a winning combination, you will be prompted to click the gamble button at the bottom of the slot. Whenever you opt to play the gamble feature, you will be taken to a second screen where you have to guess the correct card colour between black and red or the correct card suit so as to double or quadruple your winnings. Incorrect guesses mean forfeiting your winnings.